I am writing this blog after an absolutely manic nine days. 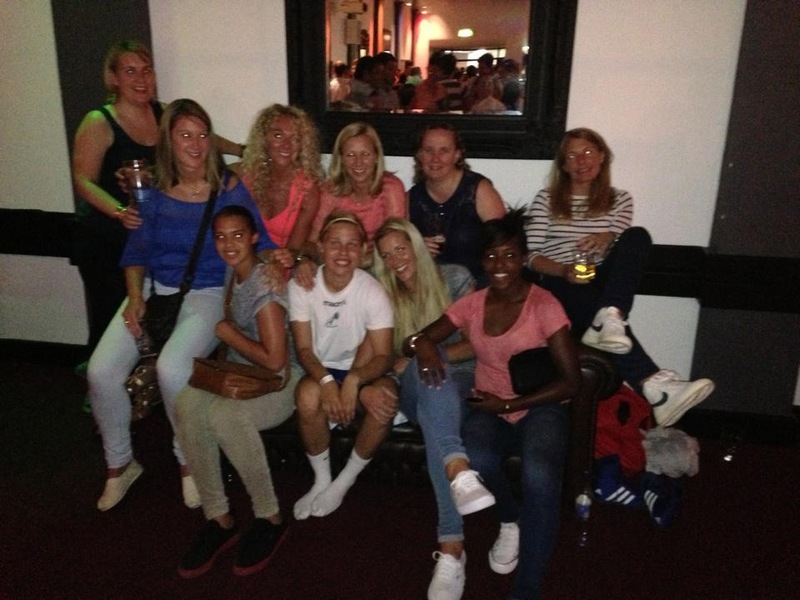 During this time I have had a boxing ﬁght and played three full matches for Arsenal Ladies. My body has been pushed to its limits, but hand on heart, if I could relive the last nine days, I’d do it all over again with a click of my ﬁngers. First up let’s talk about my ﬁght! My ﬁrst ever boxing ﬁght…which sadly ended half way through the second round. Why? I still don’t know the answer to this! The ref thought he knew best and called it. To be fair, it was more like a street ﬁght on a night out, so this may have been the reason! After the boxing ﬁght it was straight home to bed and up early for a trip to Liverpool for our game against the Reds! My body was literally screaming when I woke up, the aches and pains I felt I can’t even begin to try and explain. I was in agony but I knew the show had to go on. The journey up to Liverpool was a long one to say the least! The M1 was closed so after a 5 1/2 hour trek we ﬁnally reached the stadium. We knew in our heads what we had to do and we did just that. We played great football and banged in three goals, plus we kept a clean sheet – happy days! I couldn’t wait for the ﬁnal whistle to go as I genuinely felt my body was crying for me to stop exercising. The trip home was just as eventful as the trip up there. Our coach got a ﬂat tyre, so after getting it changed my time of arrival at home was 4am. Ouch! If I’m being honest it took me a couple of days to recover from the ﬁght. However, that was just in time for our Continental Cup semi-ﬁnal against Everton. What another fantastic result – a 4-0 win and another clean sheet. Our performances are growing with each game we play and I was really excited for our Sunday league game again against Everton. The nine days were topped off with a 5-0 win and ANOTHER clean sheet! Things are looking up right now so we need to make sure we continue with what we are doing. I just want to say a massive thank you to every single person who has supported me throughout my whole boxing ordeal. At times I have been a pain to be around, and even though I struggle to admit it, I am proud of what I did. There is one word to sum you lot up.. LEDGE! This entry was posted in Gilly Flaherty. Bookmark the permalink. ← Women’s football – should it be played in huge stadiums?